Do you enjoy fine food and fine dining? Then treat yourself to the feast of the senses that is Broadstairs Food Festival here in our beautiful town. The Autumn Festival is a 3 day event on the seafront at Victoria Gardens and The Promenade, this year it ran from Friday 28th September till Sunday 30th but it is usually at the start of October. In previous years the Spring Fair has been a smaller event in the more sheltered Pierremont Park, over the Easter weekend. Due to building works in the park the Spring Fair will not take place in 2019 so all focus is on the Autumn Festival. Now in its 10th year, the Food Festival showcases the very best of Kent’s harvest, with over 100 stalls of regional produce and culinary skills on offer. Foodies from near and far always anticipate the delightful local seasonal flavours of the Broadstairs Food Festival and accommodation tends to get booked up early.  Broadstairs Apartments are easy walking distance from the event and provide a high-quality luxury base, somewhere very comfortable to set out from for your tasting adventures and an excellent spot to come back to when you just want to relax. 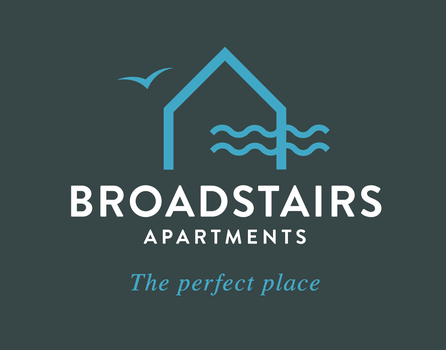 When it comes to Broadstairs holiday lets our apartments are in a class of their own for comfort and quality. The kitchen is fully equipped and very well appointed if you want to bring your goodies home and snack on your finds or get cooking to provide that fine dining experience for yourself. Victoria Gardens and seafront promenade, overlooks the glorious Viking bay with its pier, sailboats and golden sands. This is British seaside at its best and a wonderful spot to enjoy the view whilst sampling a choice selection of the local harvest. As well as the chance to try and buy delicious local food and drink, the festival has a great program of Chefs’ demonstrations and cookery workshops in the Chefs’ Theatre. Here is your chance to pick up some new tips and techniques and hone your own culinary skills to perfection. The Chefs’ Theatre will be home to local chefs, food producers and cookery book writers throughout the Festival. Some of the very best local chefs from our favourite local restaurants demonstrate their skills giving you an insight to the dishes they serve to guests in their restaurants and a chance to sample some fabulous food offerings before you take the plunge and book a table for a special lunch or night out at one of them. Broadstairs and the surrounding area have some really excellent places to dine – see our previous post for some of our top tips of places you might like to try. Rachel Green, chef, author, TV presenter, demonstrator and food campaigner ran the show on Friday 28th September. Rachel is a great advocate of British produce. Coming from 14 generations of Lincolnshire farmers, Rachel's passion is that food doesn't have to be complicated to be great. She believes the key to great cooking is the best, locally sourced ingredients you can afford and then treating them with respect. Rachel entertained and educated visitors to the tent on the Friday this year, using the local Kent produce from festival stall holders for her food demonstrations. On Sunday 30th September, Stephen Harris was in conversation with Journalist, Jane Wenham-Jones. Stephen is the self-taught chef and owner of The Sportsman at Seasalter. The Sportsman is formally recognised by Michelin and was awarded the title of National Restaurant of the Year, 2017. Stephen is a former financial advisor who taught himself how to cook, opened the Sportsman in 1999, and has won rave reviews ever since for his unpretentious, seasonal dishes, largely created from local ingredients. Typical dishes include slip sole with garlic butter and poached oysters with pickled cucumbers. 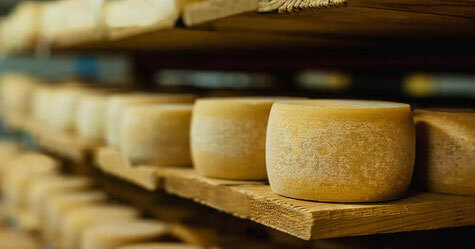 Stephen’s approach is to use really fresh ingredients. His kitchen uses vegetables that are grown in the pub garden and seafood from the nearby mud flats. Even the lamb and chicken are reared nearby. As well as the chance to thoroughly enjoy the Garden of England’s harvest, it’s good to know the festival helps sustain local artisans and producers. So as well as taking home all your yummy goodies and fresh inspiration, you can also take home a ‘doing my bit ‘warm glow. All while having a good time. Did we mention there is a lovely vintage tearoom on site, with fresh baked cakes and scones? That’s run by award winning Bessie’s Tearoom – open for business all year round on Albion Street and available to hire for special events with the unique and ever so charming vintage Bessie’s Caravans. 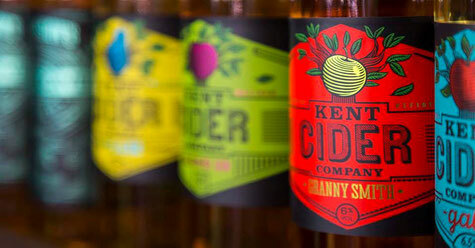 You might also pop into the glorious Cider House showcasing the extraordinary range and variety of ciders Kent brewers have to offer. 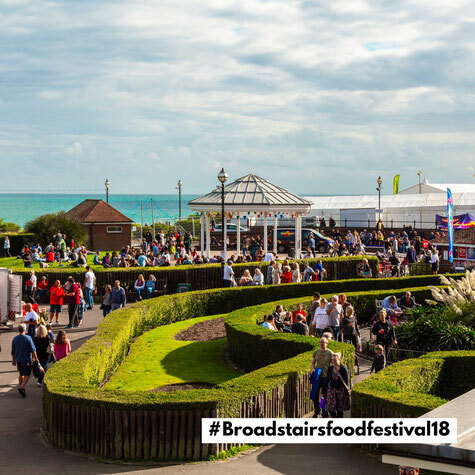 Whatever your taste, the Broadstairs Food Festival celebration of the amazing variety, quality and abundance of food and drink produced in Kent, the Garden of England, will definitely have something to tickle your taste buds. Last but not least are the tasting events held around town at different restaurants bars and hotels. Whether it be gin tasting, wine tasting, or something different – there is a full evening and lunch events programme alongside each festival and you will want to get hold of a programme via the organisers’ website nearer the time to plan your diary. We are taking bookings now for Autumn 2019. Why not get in there early and reserve yourself the perfect bolt hole to make the most of the Food Festival. Use the availability form on our home page to check availability for your preferred holiday dates. The dates have now been advised as October 4th-6th. Find out more by visiting the Broadstairs Food Festival website .